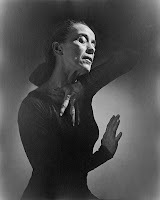 Martha Graham (May 11, 1894 – April 1, 1991) was an American dancer choreographer regarded as one of the foremost pioneers of modern dance, whose influence on dance can be compared to the influence Stravinsky had on music, Picasso had on the visual arts, or Frank Lloyd Wright had on architecture. Graham was a galvanizing performer, a choreographer of astounding moves. She invented a new language of movement, and used it to reveal the passion, the rage and the ecstasy common to human experience. She danced and choreographed for over seventy years, and during that time was the first dancer ever to perform at The White House, the first dancer ever to travel abroad as a cultural ambassador, and the first dancer ever to receive the highest civilian award of the USA: the Presidential Medal of Freedom. In her lifetime she received honors ranging from the Key to the City of Paris to Japan's Imperial Order of the Precious Crown. She said, "I have spent all my life with dance and being a dancer. It's permitting life to use you in a very intense way. Sometimes it is not pleasant. Sometimes it is fearful. But nevertheless it is inevitable." Martha Graham was born in Pittsburgh, Pennsylvania in 1894. Her father George Graham was what in the Victorian era was known as an "alienist", an early form of psychiatry. The Grahams were strict Presbyterians. Dr. Graham was a third generation American of Irish descent and her mother Jane Beers was a tenth generation descendant of Puritan Miles Standish. With a physician's salary, the Grahams had a high standard of living. Dr. Graham often brought home to his wife strawberries in the dead of winter when they were very exotic and difficult to come by. Martha was strongly discouraged from considering any career in the performing arts. In 1925, Martha was employed at the George Eastman School of Design where Rouben Mamoulian was head of the School of Drama. Among other performances, together they produced a short two color film called The Flute of Krishna, featuring Eastman students. Mamoulian left Eastman shortly thereafter and Graham chose to leave also, even though she was asked to stay on. 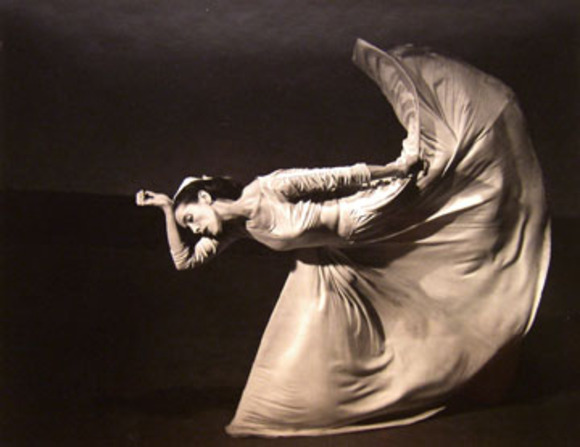 In 1926, the Martha Graham Center of Contemporary Dance was established. One of her students was heiress Bethsabée de Rothschild with whom she became close friends. When Rothschild moved to Israel and established the Batsheva Dance Company in 1965, Graham became the company's first director. 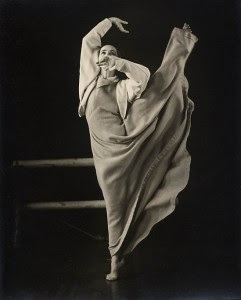 In 1936, Graham made her defining work, "Chronicle", which signaled the beginning of a new era in contemporary dance. The dance brought serious issues to the stage for the general public in a dramatic manner. 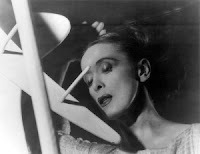 Influenced by the Wall Street Crash, the Great Depression and the Spanish Civil War, it focused on depression and isolation, reflected in the dark nature of both the set and costumes. During 1938, Erick Hawkins was the first man to dance with her company. The following year, he officially joined her troupe, dancing male lead in a number of Graham's works. They were married in 1948. He left her troupe in 1951, and they divorced in 1954. Her largest-scale work, the evening-length Clytemnestra, was created in 1958, and features a score by the Egyptian-born composer Halim El-Dabh. She also collaborated with composers including Aaron Copland, such as on Appalachian Spring, Louis Horst, Samuel Barber, William Schuman, Carlos Surinach, Norman Dello Joio, and Gian Carlo Menotti. Graham's mother died in Santa Barbara in 1958. Her oldest friend and musical collaborator Louis Horst died in 1964. She said of Horst "His sympathy and understanding, but primarily his faith, gave me a landscape to move in. Without it, I should certainly have been lost." Graham's lighting designer Jean Rosenthal died of cancer in 1967. Graham's dance style is based upon contraction and release of the body. She despised the term "modern dance" and preferred "contemporary dance". She thought the concept of what was "modern" was constantly changing and was thus inexact as a definition. For a majority of her life Graham resisted the recording of her dances and would not allow them to be filmed or photographed. She believed the performances should exist only live on the stage and in no other form. At one point she even burned volumes of her diaries and notes to prevent them from being seen. There were a few notable exceptions. For example, she worked on a limited basis with still photographers, Imogen Cunningham in the 1930s, and Barbara Morgan in the 1940s. Graham considered Philippe Halsman's photographs of "Dark Meadows" the most complete photographic record of any of her dances. Halsman also photographed in the 1940s: "Letter to the World", "Cave of the Heart", "Night Journey" and "Every Soul is a Circus". In later years her thinking on the matter evolved and others convinced her to let them recreate some of what was lost. Graham started her career at an age that was considered late for a dancer. She was still dancing by the late 1960s, and turned increasingly to alcohol to soothe her own despair at her declining body. Her works from this era included roles for herself which were more acted than danced and relied on the movement of the company dancing around her. Graham's love of dance was so profound that she refused to leave the stage despite critics who said she was past her prime. When the chorus of critics grew too loud, Graham finally left the stage. In her biography Martha Agnes de Mille cites Graham's last performance as the evening of May 25, 1968, in a 'Time of Snow'. But in A Dancer's Life biographer Russell Freedman lists the year of Graham's final performance as 1969. In her 1991 autobiography Blood Memory Graham herself lists her final performance as her 1970 appearance in "Cortege of Eagles" when she was 76 years old. It wasn't until years after I had relinquished a ballet that I could bear to watch someone else dance it. I believe in never looking back, never indulging in nostalgia, or reminiscing. Yet how can you avoid it when you look on stage and see a dancer made up to look as you did thirty years ago, dancing a ballet you created with someone you were then deeply in love with, your husband? I think that is a circle of hell Dante omitted. Graham not only survived her hospital stay but she rallied. In 1972 she quit drinking, returned to her studio, reorganized her company and went on to choreograph ten new ballets and many revivals. Her last completed ballet was 1990's Maple Leaf Rag. She was awarded the Presidential Medal of Freedom in 1976 by President Gerald Ford (the First Lady Betty Ford had danced with Graham in her youth). Graham choreographed until her death in New York city from pneumonia in 1991 at the age of 96. She was cremated, and her ashes were spread over the Sangre de Cristo Mountains in northern New Mexico. In 1998, Time listed her as the "Dancer of the Century" and as one of the most important people of the 20th century. 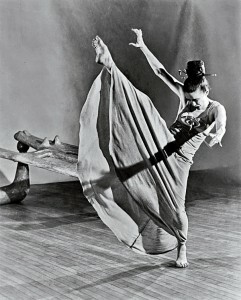 The most requested dance materials at the New York Public Library have to do with the work of Martha Graham. Graham was inducted into the National Museum of Dance C.V. Whitney Hall of Fame in 1987. Martha Graham (Pittsburgh, Pennsylvania 11 de mayo de 1894 — 1 de abril de 1991), fue una bailarina y coreógrafa estadounidense, reconocida como la iniciadora de la danza moderna. Fue una artista excepcional y su obra es equiparada al trabajo de Picasso y Kandinsky en las artes plásticas. Para ella, la danza moderna no era producto de la inventiva, sino del descubrimiento de principios primigenios. 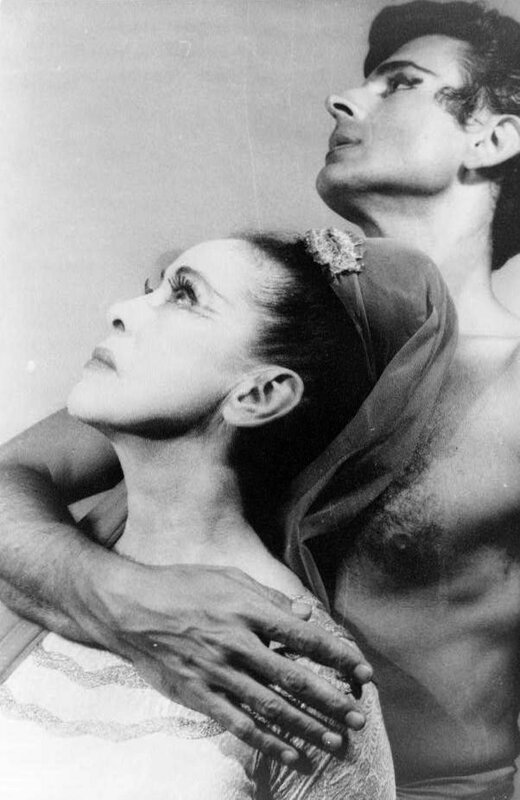 Martha Graham nació en Pittsburgh y se mudó a California siendo una niña. Después de ver a Ruth St. Denis bailar en los años 1910 tomó un interés por el baile. No fue sino hasta los 22 años (1916) cuando se interesó profesionalmente, entrando en el Denishawn. En esta histórica escuela, Ruth St. Denis, pide a Ted Shaw, que la tome como alumna, ya que le es imposible enseñarle; Ted Shaw no tarda en descubrir las capacidades excepcionales de su nueva alumna. Se abrió paso sola, pero con el constante apoyo de Louis Horst, quien la acompañará durante más de 20 años; un músico que trabajaba como acompañante al cual ella conoció mientras estudiaba en Denishawn y que se convirtió en su amante y mentor musical. En 1923, después de una intensa colaboración como ayudante y como bailarina solista de Ted Shaw, Martha Graham abandona el Denishawn. Viaja a Nueva York para bailar en Greenwich Village Follies y en el Eastman Theater; en 1925, Graham se convirtió en instructora de baile en la Escuela de Música y Teatro Eastman en Rochester, Nueva York. Durante dos años en esta escuela, experimenta y encuentra los principios de su danza. 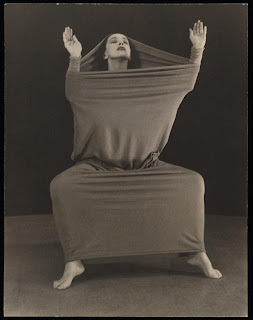 Descubre a Mary Wigman a través de libros y fotografías; asiste a una demostración de la bailarina Ronny Johansson en el estudio de Ted Shaw, queda impresionada de la utilización del suelo que hace la bailarina y a partir de ello se percata del control que puede efectuarse sobre los músculos del torso. Incorpora este método de trabajo para resolver técnicamente problemas fundamentales sobre el equilibrio y es así como descubre a la pelvis como la fuente de energía del bailarín. En 1936 llegó el trabajo definitivo de Graham, que marcó el comienzo de una nueva era en la danza contemporánea. "Steps in the Street" trajo serios problemas al escenario para el público en general de manera dramática. Influenciada por el desplome de Wall Street, la Gran Depresión y la Guerra Civil Española, la danza se enfocó en la depresión y el aislamiento, reflejados en las oscuras escenografías y vestuarios. Esto definió el nuevo estilo de baile, y fijó el estándar que muchos coreógrafos siguen hoy en día.